Xenohormones also spelled xeno-hormones and sometimes called xenoestrogens are a category of EDC's, Endocrine Disrupting Compounds that are industrially made chemical compounds which disrupt communication within the bodies’ endocrine/ hormone producing organs. These compounds have a negative estrogenic effect that differs chemically from naturally occurring hormones produced by living organisms. Xenohormones are a group of man made laboratory synthesized chemicals that are hormonally active agents that differ from phytoestrogens (estrogenic substances from plants), and can be divided into pharmacological estrogens and agents that have an unintended detrimental estrogenic effect. "Estrogen like" substances from a variety of sources may have a cumulative effect upon living organisms, xenohormones and xenoestrogens may be part of a larger picture of a process of estrogenisation of the environment we live in. The term estrogen dominance is used in some circles today which attribute these research findings to symptoms of estrogenisation displayed by women and men, child and adolescent. Xenoestrogens and xenohormones have been introduced into the environment by industrial, agricultural and chemical companies in the last several decades. Their potential ecological and human health impact is under study and is of great concern to endocrinologists (specialist that study the hormone's and endocrine glands), environmentalist, scientists and doctors who see the hormone disruption caused by the confusion these chemicals cause when introduced into the biology of all living creatures. A 2008 report demonstrates further evidence of wide-spread effects of feminizing chemicals on development in each class of vertebrate species as a worldwide phenomenon. Ninety-nine percent of over 100,000 recently introduced chemicals are poorly regulated and pose our civilizations greatest threat for survival. Synthetic estrogens and progestin’s, as are found in oral contraceptives and conventional synthetic hormone replacement therapies. All American-grown, non-organic livestock, which are fed estrogenic drugs to fatten them. Also, the grains they are fed are laden with chemical sprays that accumulate in animal tissue and promote hormone disruption in the person consuming them. The chemical Bisphenol A, is used in plastic bottles, containers and almost all food-can liners. Very few states have restricted the use of this chemical and only when the community has banded together and petitioned the municipalities and local government has this been removed or restricted. The Food and Drug Administration will soon decide what it considers a safe level of exposure to Bisphenol A also known as BPA, studies have shown an increased incidence of breast and prostate cancers, diabetes, and heart disease. Solvents found in fingernail polish and polish remover, glue, cleaning supplies have been found to have the same cell proliferative properties and endocrine disruption. Car exhaust is a real problem, if you live in a city or area where you are constantly exposed to this you should have a plan how to clear this from you system. Otherwise your doctor will be chasing symptoms with one diagnosis and drug to the next and next. Emulsifiers found in soaps and cosmetics of the past and present are a real problem. Your skin being the largest organ is very capable of transferring chemical through the membrane at a highly efficient rate, in most case better than your gut. Find an organic source for this or one that you believe is the least harmful. Almost all plastics, especially when plastics become hot or are heated. Studies have also shown that recycled plastics contain residues from their previous contents like dangerous herbicides, pesticides, poisons and chemical solvents. Don't buy food that is stored or packaged in plastics, your risking that the plastic is not harmful, but in a body that is biologically active and which these chemicals accumulate even very small doses over time are harmful. A solution would be to transfer anything bought in plastic to something more stable, like a glass container. Industrial wastes such as polychlorinated biphenyls (PCBs) and dioxins that may leak into the ground water and contaminate your drinking water. Have your tap water tested by a state agency to find out how many chemicals are found and what you can do to remove them. agents you will have to search hard and not stop looking. Even your "safe" water supply contains chemicals meant to kill bacteria are now found in our ground water and are accumulating in your body. Another one that has become more pervasive is the thermal paper used at nearly every store for your purchase receipt today. Our children also need to be protected from chlorinated pools, fluorinated drinking water, chlorinated tampons, shampoos, lipstick, hair spray, nail polish, perfumes and those sodas in the plastic containers. School food that chooses to use government subsidized lunches from farms that use non organic farming practices to expedite the rapid production of meats laden with fattening chemical compounds found in all modern farming practices other than organic. Avoid all synthetic and horse hormones (oral contraceptives and conventional HRT). Eat organic meat and dairy minimally, and/or avoid the fat of non-organic meat and dairy (this is where the greatest amount of animal accumulation occurs, this is where xenohormones, xenoestrogens, endocrine disruptors will concentrate). Decrease or stop all conventional pesticides, lawn and garden chemicals, etc. (use something natural instead). Don't contract with conventional lawn services that use these sprays (most do); they are extremely toxic and full of xenohormones and are endocrine disruptors. Wear protective gloves and clothing when in contact with any glues, solvents, cleaning solutions, etc., that contain xenohormones. Buy cosmetics without phthalates a known xenohormones. Avoid particle-board if you’re remodeling or building a new house, synthetic-fiber carpets and fake woods products are loaded with known chemical disruptors. Canned goods that are almost always lined with Bisphenol avoid as much as possible or transfer them to glass container or freeze them in the appropiate freezer bag. Drink filtered water from a high quality home installed reverse osmosis filter, not "city water" that contains chlorine, fluoride, xenobiotics and other industrial, agriculture chemical like Atrazine. Estrogen dominance is when your body has excess estrogen or estrogen like compounds in relation to the amount of progesterone. This almost always occurs when women have used birth control and are exposed to exogenous sources of "estrogen like" chemicals known as xenohormones. Estrogen dominance can be reduced by reducing your exposure to environmental xenoestrogens or other known xenohormones. 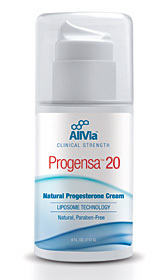 Recent studies indicate that bioidentical progesterone cream helps to correct hormonal imbalances caused by exposure to xenoestrogens by balancing the excess estrogen. An all natural herbal formula that significantly improves hormonal imbalance: Uterine fibroids and pelvic pain/cramps, irritability, tension, mood swings, acne, headaches, breast pain, bloating and weight gain. The herb vitex/chaste tree has long been a stable for women who are re-balancing their body of excess estrogen from environmental exposure, to xenohormones, xenoestrogens and hormone therapy. Beyond the treatment of liver disorders, everyday care of the liver lays a cornerstone health. Holistic doctors, who look beneath the symptoms of an illness to its underlying cause, often discover that the liver has had a role to play. This is true across a vast range of different ailments including exposure to endocrine disruptors. The herb commonly called milk thistle cleanses the body of xenoestrogens by strengthening the liver which becomes weakened and less able to function optimally from all pharmaceutical and chemical exposure. Whether the drug is prescribed or over the counter they all hamper the livers ability to keep you balanced hormonally.